Funny Fat Cow Classroom Cartoon Picture - What does a chicken give us? Eggs! What does a pig give us? 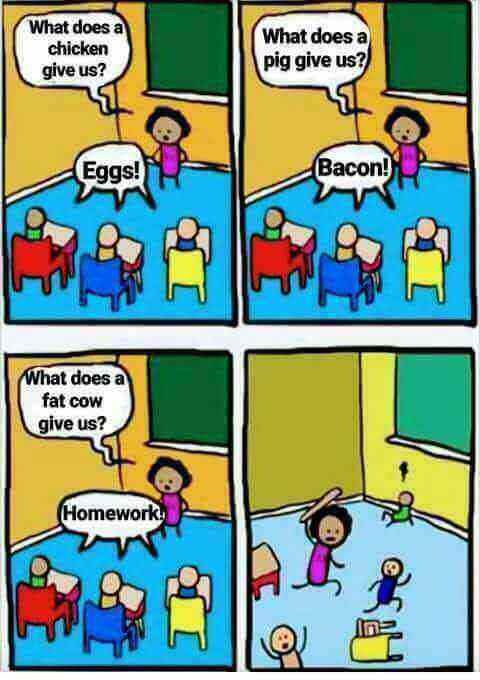 Bacon! What does a fat cow give us? Homework!